LTC/USD has managed to increase a little in the previous days and now is almost to reach a very strong dynamic resistance. It remains to see what will happen because this could still be only a temporary rebound. The perspective remains bearish even if the rate has shown some oversold signs. 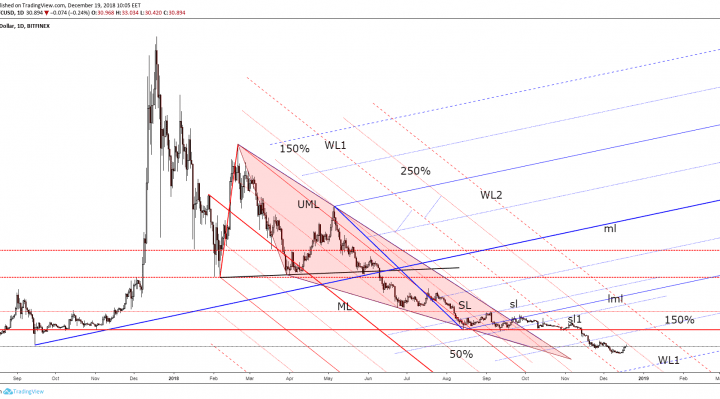 It is very important to see what will really happen on the Bitcoin in the upcoming period. Bitcoin has managed to rebound on the short-term and has forced the crypto market to increase as well. 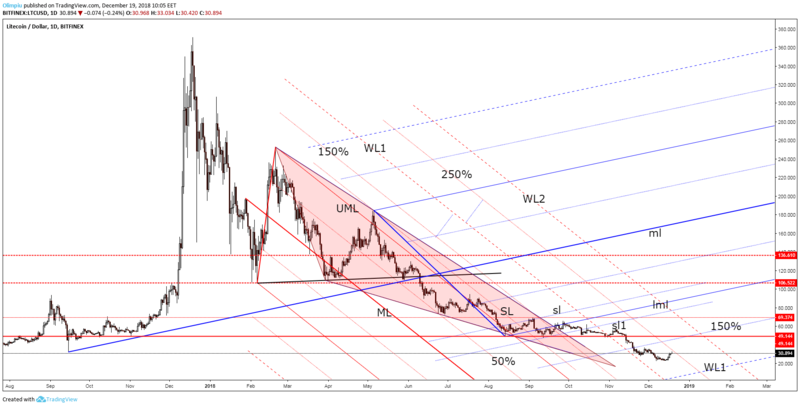 The rate has run away from the first warning line (WL1) of the major descending pitchfork and now is almost to reach the 250% Fibonacci line of the descending pitchfork. Technically, this minor upside movement is somehow natural after the failure to test and retest the WL1 of the descending pitchfork. A valid breakout will signal a potential increase, but you should be very careful because the rate could drop anytime, even if it will breakout above the 250% line. A false breakout, a rejection or a failure to reach the 250% should send the rate down again. We have an important downside target at the first warning line (WL1) of the major ascending pitchfork. Is premature to talk about an important upside movement right now. We could talk about an important upside movement when we’ll have a reversal signal on the Bitcoin and if the rate will drop a little and will fail to reach the 22.540 former low. Maybe we’ll need a major consolidation in the upcoming period and the behavior needs to change to consider going long again on the Litecoin. Right now you should stay away and wait for a fresh trading signal.